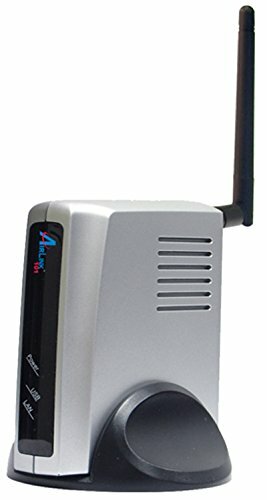 Allow multiple computers to wirelessly print from your multifunction printer with the AirLink 101 AMPS240W Wireless Multi-Functional Printer Server!This AMPS240W device makes it super simple to print from any computer in the house. All you have to do is connect the printer server to your printer via the USB 2.0 connection, then let it wirelessly connect with all the computers on your wireless router's network. With support for MFP printing, faxing and scanning functions, this 1-port printer server is compatible with most all-in-one printers. Compact and easy to set up, the AMPS240W supports IEEE 802.11b/g standards. Share your multi-functional printer through your LAN with this AirLink 101 Wireless Multi-Functional Printer Server. Order today!